It comes with a heavy heart that we have recently lost one of our oldest Batman actors, Adam West. 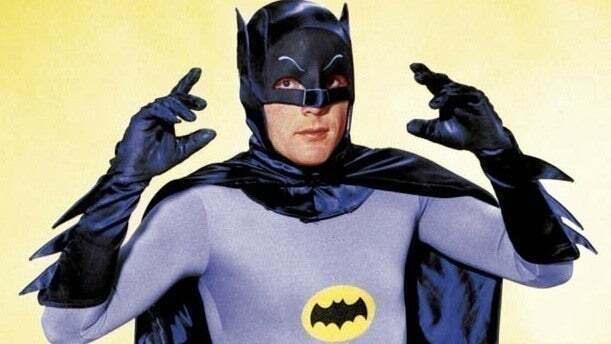 West has become a legend in comic pop culture since his debut on television in 1966 as Batman. I’m not a huge DC or Batman fan, but Adam West is one of those people that has been in fandom for years that with him being gone will surely take some time to heal and grieve for his loss. At 88, West has done a fantastic job always meeting fans and the people who grew up with his work since his time as Batman. I remember watching the ’66 Batman show as a kid on television in the afternoon syndication blocks, so at a young age, I always have known of Adam West and the 60’s Batman show. For its time, it is an incredibly cheesy, corny and downright dumb show when you look back over half a century later. However, the show does stand on its own for being very entertaining, both for the new and old at heart. I would even point out that if you consider yourself a Batman fan and haven’t seen the ’66 Batman show, you owe it to yourself to watch a few episodes of it. Well after Batman ended and West was a struggling actor for years to try and maintain his face on other television shows and movies, he would still be a sought after figure in nerd fandom. I’m not sure how long West has been attending comic conventions, but I’d have to guess going back to the 1970’s when science fiction and comic conventions were big in their heyday. 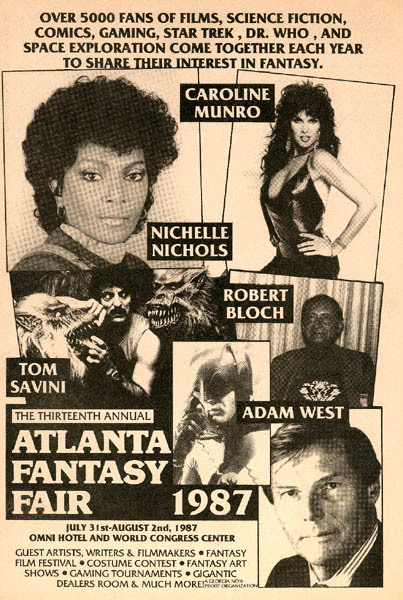 The earliest piece I can find on West attending a convention would be the old Atlanta Fantasy Fair in 1987, which he attended a few times. His role as Batman influenced later shows to parody and pay homage to him, such as his role as The Grey Ghost in the first season of Bruce Timm Batman: The Animated Series, which his persona as a crime fighter in a television show inspired young Bruce Wayne to be Batman later on. Shows like the Simpsons would parody and make call backs to his character and some of the stupid moments that show has had years later. The most recent role West seems to be most memorable for in today’s generation is his role as Mayor Adam West in Family Guy, a role he has kept up with until his death. I’ll be curious on how Family Guy will kill off/write off West on the show now that he is no longer living, or through computers can keep his character voice going for a few more seasons, which I hope McFarlane doesn’t due out of respect for the actor.